WASHINGTON — The Drug Enforcement Administration on Wednesday broadened its national crackdown on synthetic drug manufacturers, wholesalers and retailers as federal agents served hundreds of search and arrest warrants in at least 25 states. Agents served warrants at homes, warehouses and smoke shops beginning early morning, DEA spokesman Rusty Payne said. The largest single operation was a statewide effort in Alabama. Agents also were active in Florida and New Mexico, among other states. The DEA has been cracking down on synthetic drugs, including so-called bath salts, spice and Molly, since the drugs first gained widespread popularity years ago. 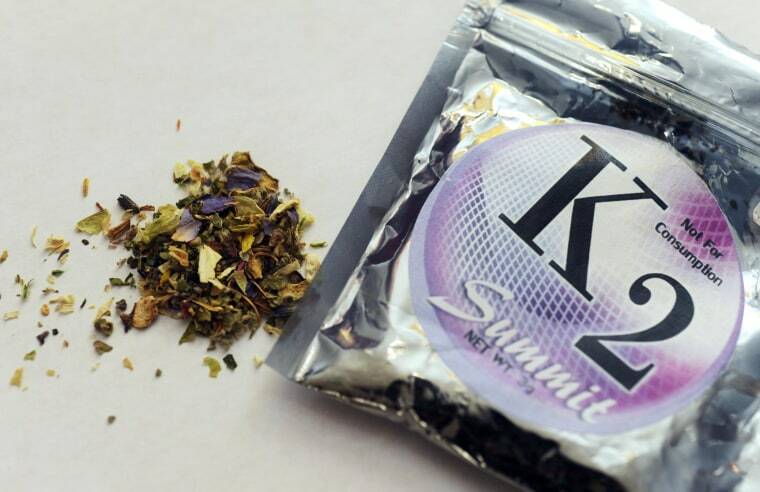 In late 2010, the agency responsible for enforcing federal drug laws moved to ban five chemicals used to make synthetic marijuana blends, including K2, Spice and Blaze. Since then, drug manufacturers have continued to modify their formulas and develop new chemical mixtures. Ferdinand Large, staff coordinator for DEA's Special Operations Division, said the agency is now broadly focused on Chinese chemical manufacturers and the distributors, wholesalers and retailers in the United States. There is also growing concern about where the money is going. Investigators have tracked hundreds of millions of dollars in drug proceeds being sent to Yemen, Syria, Lebanon and Jordan, Large said. "The money is going there, where it stops we don't know," Large said. Large said it's also unclear which criminal organizations may be profiting from the drug proceeds. U.S. authorities long have worried about criminal and terrorist groups in the Middle East using drug trafficking to fund illicit activities. Payne said Wednesday's crackdown was focused strictly on U.S. targets and involved 66 DEA cases, seven investigations led by Immigration and Customs Enforcement special agents and several others led by Customs and Border Protection that focused on express consignment shipments. Last year, the DEA and Customs and Border Protection wrapped up a 7-month investigation that ended in 150 arrests and the seizure of about a ton of drugs.